Zendokai Karate, different from a general image of Karate, allows not only strikes using fists and legs, but also throwing techniques and submission holds. That is the reason Zendokai Karate is recognized as a Mixed Martial Arts. Besides, Zendokai attaches importance to the natural stance you assume from the body in the natural state. Through the training of Zendokai Karate, you will notice and observe your own body with mindfulness and self-awareness, and can re-acquire and hone your genuine self. 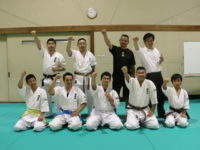 Thus, Zendokai Karate is the Moving Zen by virtue of its philosophy, and also, its realistic fighting style can give you a practical method for fighting in MMA competition. 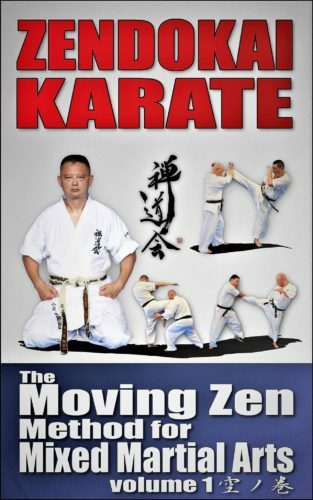 This book, ZENDOKAI KARATE – the Moving Zen Method for Mixed Martial Arts, contains the basic techniques and the training system of Zendokai to strengthen your mind and body safely and rationally. In the volume 1, you can learn breathing techniques, stretching exercises, stances and striking techniques. 特定非営利活動法人 日本武道総合格闘技連盟 空手道禅道会　(C)Zendokai, All Rights Reserved.